The OJ Simpson murder trial was a media circus that captivated the Nation for eleven months in 1995. 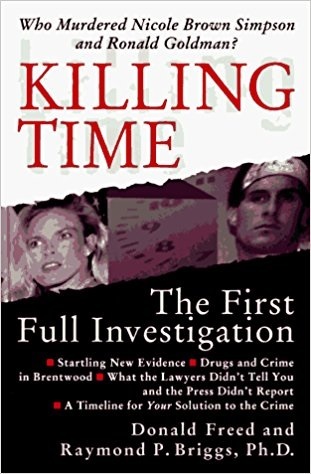 Simpson was charged with two accounts of first-degree murder in the deaths of his ex-wife, Nicole Brown Simpson and her friend Ronald Goldman. The two were brutally stabbed and slashed to death at Nicole’s Brentwood home on Bundy Drive. With blood evidence and DNA, the Prosecutors felt that they had an open and shut case. Yet mishandling of evidence and the specter of racism from an investigating officer, expertly handled by OJ’s “Dream Team” of attorneys led by Johnnie Cochran produced enough reasonable doubt for an acquittal. This is a re-examination of the evidence, but not geared towards proving OJ’s guilt or innocence. Instead, the evidence is simply presented and ran through a number of scenarios. The evidence is presented with cases that suggest OJ was innocent, that he was guilty, that he had an accomplice, that he was on scene but not involved, and best of all, that someone else might have actually been responsible. I found the book extremely interesting and found myself questioning my own opinions on this case. There is no question that reasonable doubt was proven, and in that case, an acquittal was the only choice the jury could make. Yet the question remains if not OJ himself, then who? The authors invite the reader to draw his or her own conclusions.